It's great to come back to my native country after quite intensive US trip. 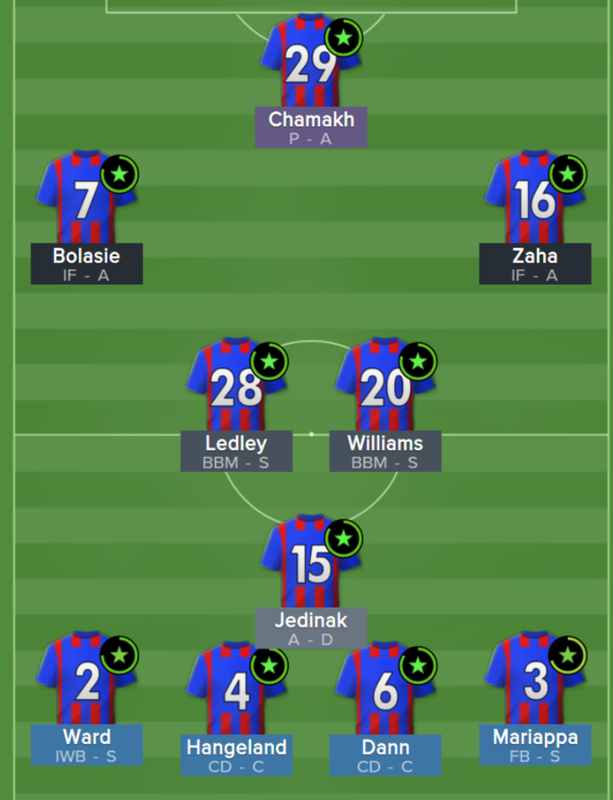 During the trip I did manage to play couple of matches and today's blog update is fully dedicated to my initial match experience with Crystal Palace. Hope you'll enjoy it! I was unlucky to start my official career in Palace playing against The Red Devils. Surely it's not surprise we got defeated and didn't cope with emotions showing very raw team play. The second match versus Aston Villa was pretty different. 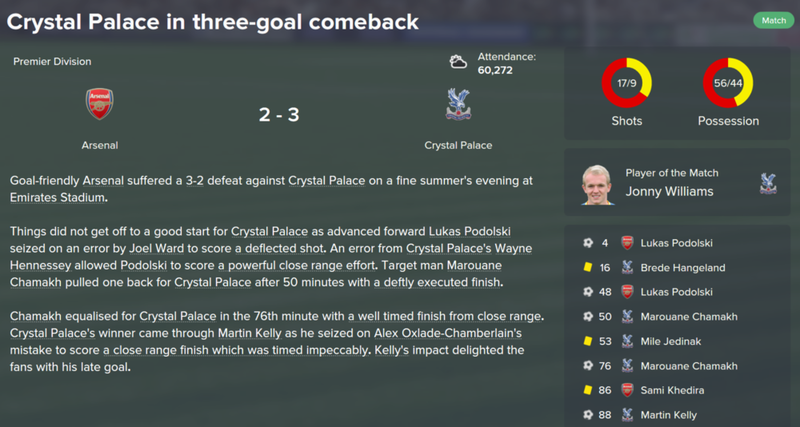 At first I saw my team in attacking moves resulting in pretty equal performance at Selhurst Park. This is how we got the first point into our point-box. A taste of first victory was felt in League Cup match against much more weaker Brentford. Again - no surprise here. Crystal Palace had to dominate in the match. 2 goals were scored by Chamakh to his former club. This absolutely exciting victory turned my PL start into very colorful. Moreover, it helped to go up to the safe 17th position. 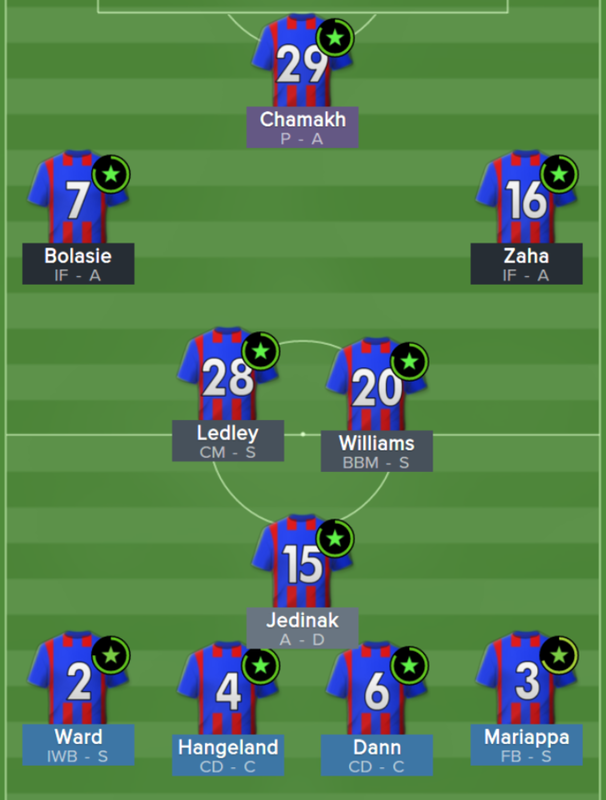 We were discussing probable Palace tactics quite much in the comments to the squad review blog post. You helped me much to become sure I should use 4 defenders in line. So here are three tactics created for the very first season. Well I am not saying there won't be any changes but most likely this tactic set will be used throughout the whole season. My base variant for opposing equal teams. It includes Lower Tempo team instruction. This should result in a lovely ball possession oriented football. I do expect Jonny Williams playing great at AMC position. Its team instructions include higher defensive line, flank overlapping and Work Ball Into Box. 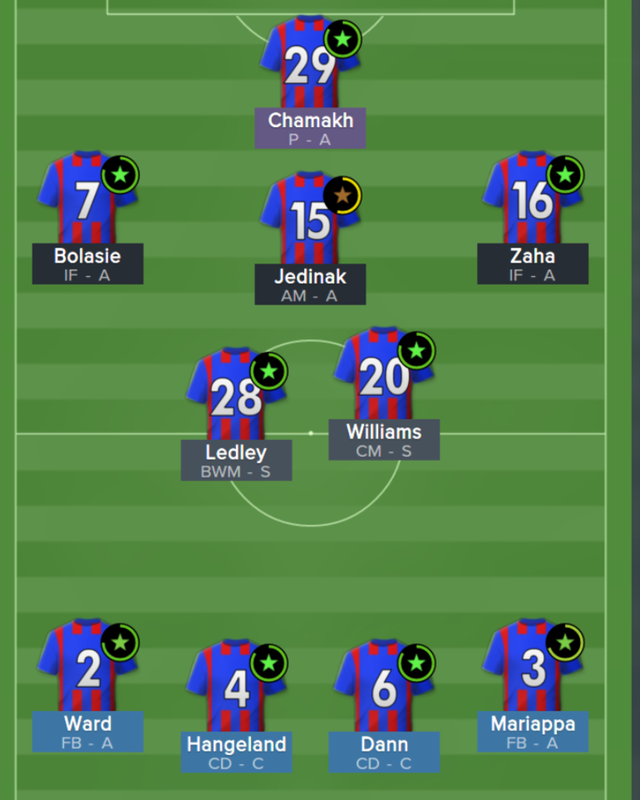 It should help my inside forwards Bolasie and Zaha be more accurate while making shots. 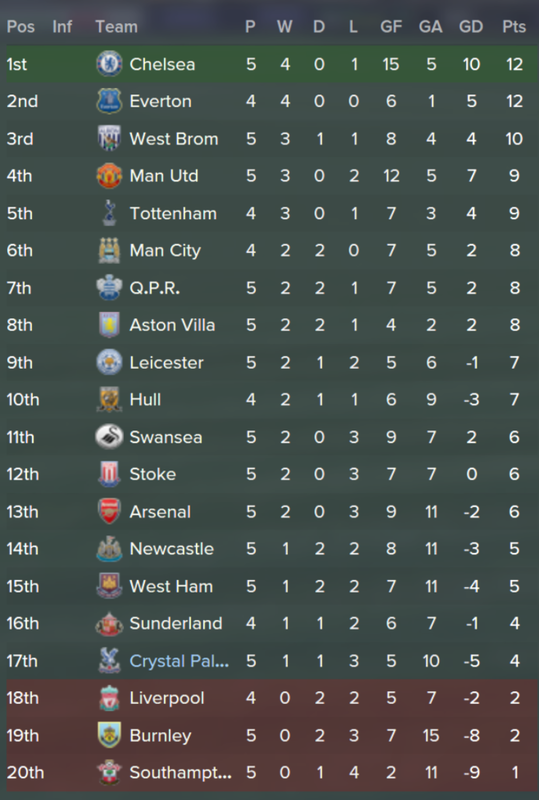 By the way, the above-mentioned win over Arsenal was achieved after I switched to the tactics! English grand clubs prefer to rule in matches whole 90 minutes. That's why I decided to create this counter-attacking option with higher tempo. Hope it will work well when corresponding tactic familiarity level is achieved. It's time to grab some points. All further opponents with exception of Chelsea do not seem unbeatable. Especially, Sunderland and Q.P.R. Stay tuned to know how my Crystal Palace will perform in those games. Next time I will add some player stats for you.